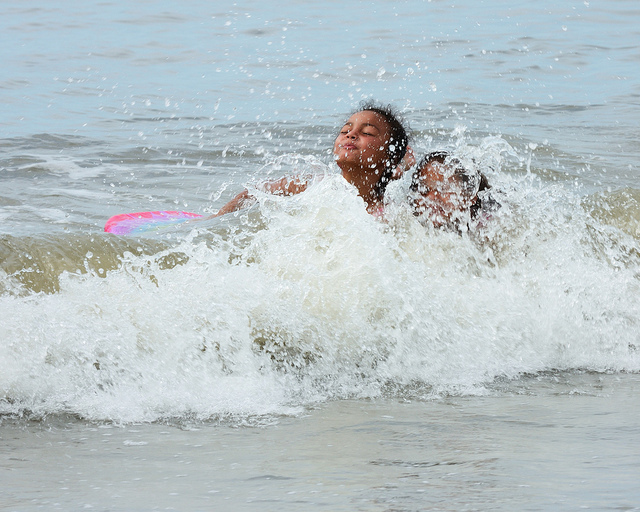 Drowning still remains a leading cause of accidental death in the United States, particularly for young children. In the past, many terms were developed in reference to subtypes of drowning such as near drowning, dry and wet drowning and shallow water blackout. However, recent guidelines have been simplified and now only categorize a drowning as fatal or non-fatal. Drowning occurs after an initial period of panic and breath holding, which eventually leads to reflex inspiration as water enters the respiratory tract causing widespread hypoxia. Based on previous animal model studies, it was once thought that there were physiological differences in saltwater versus freshwater submersion injuries that could thus require differing treatments. For example, it was thought that since freshwater submersion aspiration contents are hypotonic, it would result in intravascular fluid overload leading to hypotonic serum levels. Contrasting saltwater submersions, aspiration was thought to be hypertonic in nature, thus leading to massive pulmonary edema and hypertonic serum levels. In reality, nearly all survivors simply do not aspirate enough fluid that lead to clinically relevant changes. One caveat to note involves submersion injuries sustained in the Dead Sea, given its high salt content. One paper reviewed 69 cases of “near drowning” which found these patients to have hypercalcemia, hypermagnesia and hyperphosphatemia. No significant difference in potassium, sodium or chloride levels were found. For these patients, treatment should focus on aggressive diuresis. In regards to initial management, resuscitation efforts should emphasize rescue breathing (versus an emphasis on uninterrupted chest compressions in typical cardiac arrest patients). If the patient does not respond and an absence of pulse has been confirmed, the rescuer can continue down the traditional BLS/ACLS algorithm. Despite common portrayal in media outlets, the Heimlich maneuver has not been proven to add any benefit in this patient population. The final unique consideration for these patients are those in cold-water immersions. As hypothermia has been found to have protective effects, resuscitation should continue until the patient’s core body temperature is warmed to approximately 90°F to 95°F, unless the patient has obviously expired. Centers for Disease Control and Prevention (CDC). Drowning--United States, 2005-2009. MMWR Morb Mortal Wkly Rep. 2012 May 18;61(19):344-7. Truhlář A, Deakin CD, Soar J, Khalifa GE, Alfonzo A, Bierens JJ. Cardiac arrest in special circumstances section Collaborators. European Resuscitation Council Guidelines for Resuscitation 2015: Section 4. Cardiac arrest in special circumstances. Resuscitation. 2015 Oct;95:148-201. Modell, J.H. Serum electrolyte changes in near-drowning victims. JAMA. 1985; 253: 557. Saidel-Odes LR, Almog Y. Near-drowning in the Dead Sea: A retrospective observational analysis of 69 patients. Isr Med Assoc J. 2003 Dec;5(12):856-8. Rosen P, Stoto M, Harley J. The use of the Heimlich maneuver in near drowning: Institute of Medicine report. J Emerg Med 1995; 13:397. Jolly BT, Ghezzi KT. Accidental hypothermia. Emerg Med Clin North Am 1992; 10:311.